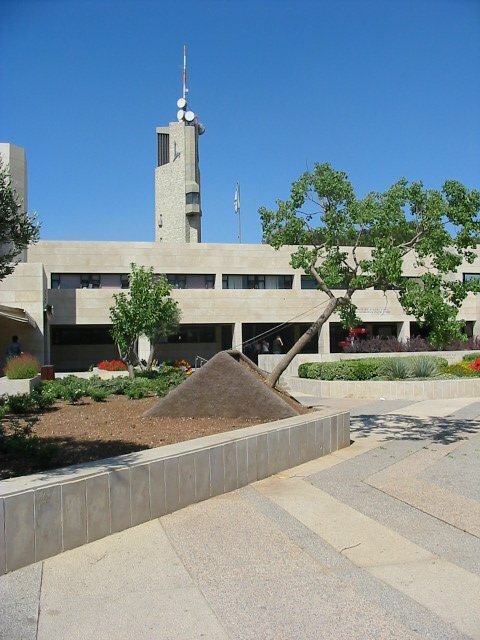 Read by Norman Wein ( short excerpts from " Ben Gurion looks back in talks with Moshe Pearlman"
the Jewish Music Research Center of the Hebrew University of Jerusalem, providing a variety of services to the music-loving public. An early interview about composition, lyrics and musical cooperation. also "Instructor of Talmud for the Neve Yaakov community." American Friends of The Hebrew University note with deepest sorrow the loss of Dr. Sanford A. Berman. 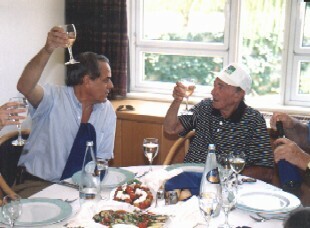 A long-standing American Friend, "Dr. B" was beloved for his dedication to The Hebrew University and Israel's people. 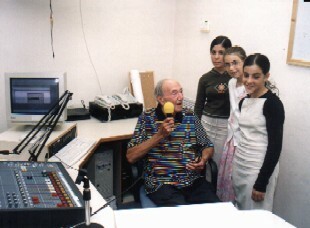 Among Dr. B's acts of philanthropy was his generous support for Hebrew University's "Radio Mount Scopus," the first student operated university radio station in Israel; his contributions to the Iris S. and Bert L. Wolstein Accessibility Project; and his gift to augment campus security in the aftermath of the July 31st terrorist attack on Mount Scopus. Dr. B's humanitarian legacy will exist in perpetuity, enhancing future generations. We extend our sympathies to his dear friends, Lana and Michael Jacobson, and to his family and friends throughout the United States and the State of Israel. Dr. B. was born on January 10, 1908 in Cleveland, Ohio. He graduated from Ohio State University School of Dentistry, was in the armed forces and practiced family dentistry in Euclid, Ohio. He and his late wife, Bette, maintained an active social life and were affiliated with many Jewish organizations over the years. Bette was active in Hadassah and she and Dr. B. loved travel and enjoyed their homes in Cleveland and in Adventura, Florida. fund a myriad of philanthropic projects for such organizations as The Sight Center of Greater Cleveland, Jewish National Fund, Jerusalem Girls Orphanage, Congregation B'nai Jesherun, The Interdisciplinary Center of Herzliya, and The Hebrew University of Jerusalem. Israel. Our good friend Dr. Sanford A. Berman passed away on ( March 06 2003 ) afternoon at Montefiore Home in Beachwood. The funeral service took place on Friday, March, 7, 2003, Noon, at Berkowitz-Kumin-Bookatz, Cleveland Heights, Ohio.